Grafton Oaks has a true heart for those affected by Dementia and cognitive loss. Our Director of Nursing and Activities Director are Certified Dementia Practitioners and provide each of our staff members with regular in-house Dementia training. 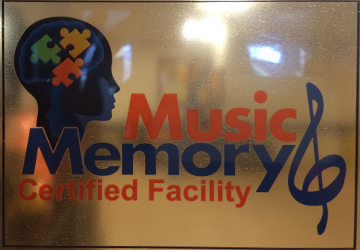 We are also a “Music & Memory Certified Facility” offering personalized music experiences to our residents. Familiar music is a wonderful tool to bring happiness, comfort, and peace of mind to those who may be otherwise confused by their surroundings.